UPDATED: Mon., April 16, 2018, 3:20 p.m.
At least 17 prisoners were seriously injured at Lee Correctional Institution, South Carolina prisons chief Bryan Stirling said. The first fight started in a dorm about 7:15 p.m. Sunday and appeared to be contained before suddenly starting in two other dorms. Cellphones helped stir up the trouble, and state officials urged the federal government to change a law and allow them to block the signals from prisoners’ phones. “These folks are fighting over real money and real territory while they’re incarcerated,” Stirling said at a news conference. No prison guards were hurt. Stirling said they followed protocol by backing out and asking for support. It took several hours to restore order, but once a special SWAT team entered, the inmates gave up peacefully, he said. The prisoner who saw the riot exchanged messages with AP on the condition of anonymity because he is not allowed to have a cellphone and fears retribution from other inmates. He said he saw several attackers taunt a rival gang member who was badly injured. “I just saw three dead on the sidewalk outside of my unit. One guy is still alive and breathing, but just barely,” the inmate said. The riot was the latest violence in the South Carolina prisons system, where at least 13 other inmates have been killed by fellow prisoners since the start of 2017. It was the most inmates slain in a single riot in the U.S. since nine prisoners and a guard died in 1993 at the Southern Ohio Correctional Facility, said Steve Martin, a consultant who helps the federal government monitor prison systems. The inmate who spoke to AP said that many cell door locks were already broken before the riot and that he and other prisoners roamed around freely at the prison in Bishopville, located 40 miles east of Columbia. Hours after the violence started, no correctional officers or medical personnel attended to the dead or dying, he said. Stirling said the response teams entered as fast as they could. “We gathered as many people as we could, as quickly as we could and went in as soon as we thought it was safe for our staff,” he said. 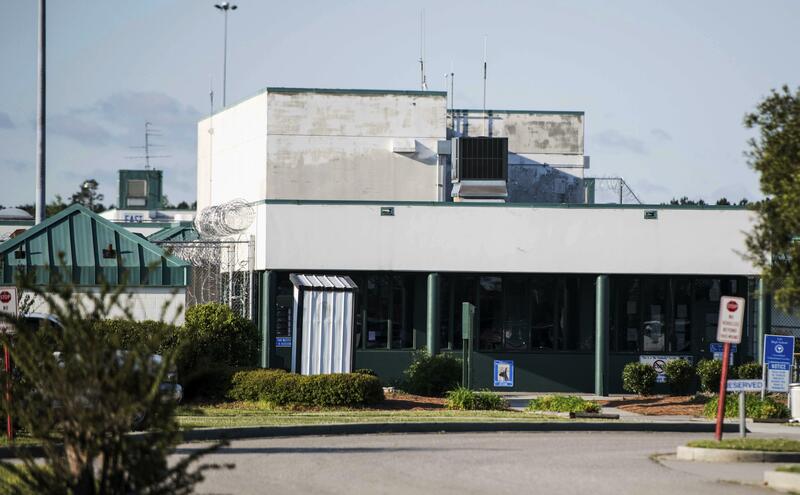 Most of the slain inmates were stabbed with homemade knives or slashed, while the remainder appeared to have been beaten, Lee County Coroner Larry Logan said. Stirling said an investigation would determine if any other type of weapon was used. The slain were serving anywhere from 10 years to life in prison and their crimes ranged from murder to burglary to trafficking crack cocaine. They youngest was 28 years old while the oldest was 44. The injured inmates required medical attention outside the prison, which made it more difficult for authorities to restore order, Stirling said. The coroner said when he arrived it was a chaotic scene of fighting everywhere. Logan said the state-run Lee Correctional Institution, like most other South Carolina prisons, is struggling to find enough workers, but he doesn’t believe anything could be done once things got that far out of control. “If everybody has an uprising, you are always going to be understaffed,” Logan said. The maximum-security facility in Bishopville houses about 1,500 inmates and there were 44 guards there when the first fight started. Two officers were stabbed at Lee Correctional in 2015. More recently, an inmate held a guard hostage for 90 minutes in March and another killed a fellow prisoner in February. The deaths at Lee are the most in any South Carolina prison in recent years. Four inmates were killed last year by a pair of prisoners at Kirkland Correctional Institution. Gov. Henry McMaster commended Stirling’s response and said he was outraged the state can’t jam cellphone signals in prisons. “There are prisons around the country — state prisons, federal prisons all – that would be safer with this jamming,” he said. Published: April 16, 2018, 6:13 a.m. Updated: April 16, 2018, 3:20 p.m.